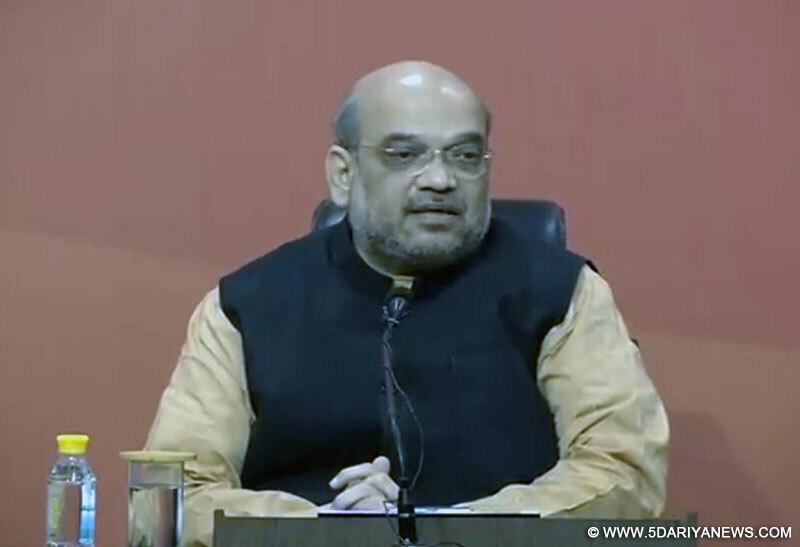 BJP President Amit Shah on Friday refuted opposition allegations that the ruling party knew about the government's move to demonetise Rs 500 and Rs 1,000 currency notes, saying the information was limited to some constitutional and administrative entities. "The BJP had no such prior information and there was no possibility of the party getting it. This information was limited only to some constitutional and administrative entities," Shah told reporters here at a press conference. "Leave us...even you (journalists) could not get the information," he added.Opposition parties have been accusing the ruling Bharatiya Janata Party (BJP) of having prior information of the decision concerning demonetisation.BJP sources said that Shah got to know about the decision about half an hour after Prime Minister Narendra Modi announced it. When the announcement was made, Shah was travelling on a flight. The CPI-M on Friday accused the BJP central leadership of compromising the confidentiality of the Centre's decision to favour the party, and claimed that big amounts had been deposited in the accounts of its West Bengal unit in the days preceding the announcement.Delhi Chief Minister and Aam Aadmi Party leader Arvind Kejriwal alleged that the BJP's "friends" knew about the development in advance and had managed to send their money abroad or bought land or gold with the demonetised currency before it was declared an illegal tender.Terming the decision "anti-poor", Samajwadi Party chief Mulayam Singh Yadav said the government announced the demonetisation move "in haste". The former Uttar Pradesh Chief Minister alleged the decision was politically motivated. "The Bharatiya Janata Party has taken this decision because of (coming 2017 assembly) elections," added Yadav. Bahujan Samaj Party (BSP) chief and former Uttar Pradesh Chief Minister Mayawati too minced no words in flaying the central government for the move. Calling Modi a "past master" in hoodwinking people and deflecting attention from the real problems, Mayawati said the decision was "not in public interest, but in self-interest".Shah maintained the BJP has "no black money" and it regularly files tax returns to the government as mandated by law.